Wisner’s Inc. is a full time machine shop specializing in the manufacture of obsolete firearm parts. We are probably the largest manufacturer of Obsolete Firearm Parts in the world. The parts you see on these pages are what we manufacture & have for sale, we do not cannibalize old guns. What you see here is what we have. This website is the most current available. Our goal is to manufacture a high quality product & try to maintain a fairly complete inventory of the parts listed in our catalog, however sometimes a delay may occur, depending on previous orders, steel deliveries, equipment repairs & personnel health. These parts are made from copying original parts, or from the many dimensional drawings taken from factory guns that were torn down in our facility over the last 35 years. We build parts for many of the major parts distributors. New items are added as time permits. These new parts will be added to this listing as needed. Again, this website’s online catalog will be the most current listing we have. Our machine shop consists of, three vertical milling machines with power feed & DRO. A Bridgeport CNC vertical mill was purchased in late 1997, and is still being used daily. 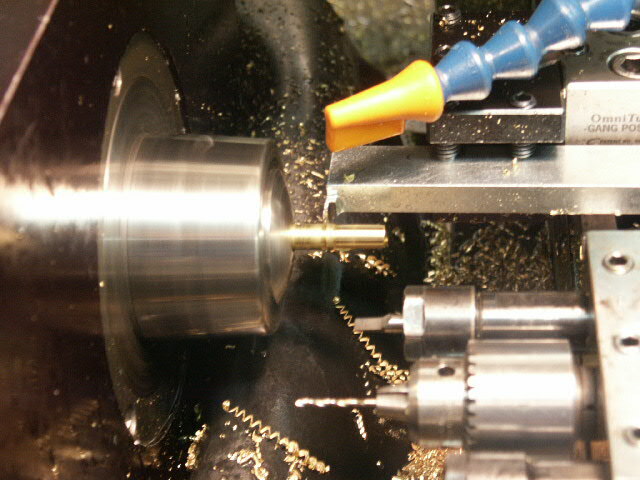 Another similar Bridgeport CNC was added in Dec 2002. A Bridgeport VMC with a 22 tool changer was added late in 2013. All three CNC mills are equipped with a 4th axis for rotary milling. Three horizontal milling machines are also used. We have two tool room lathes, a Logan 11×24 and a Jet 13×36. In the spring of 2000 we purchased a Omni-Turn CNC lathe, this is being for making screws, firing pins, magazine plugs and anything up to 1″ in diameter. Two kick press’s and five punch presses from 2 to 35 ton are used on our stamping line. A chop saw and two band saws, and welders are also used. The surface finishing department has access to three band sanders, a surface grinder, & a tool & cutter grinder, as well as numerous tumblers. A sand blast cabinet and a glass bead cabinet along with two buffers round out that department. A heat treat oven and black oxide finishing round out our shop. This business was originally started part time in 1959 & was owned and operated by LeeRoy & Nancy Wisner. As of October 1, 2003 the son Jim & his wife Jennifer took the business over when Nancy retired in 2003, LeeRoy retired in 2008. LeeRoy was a machinist/gunsmith by trade for over 40 years. Jennifer ran an office before, so she understands a lot, but is still learning some aspects of what fits what. However if your requirements are that you have to talk to Jim, he is usually only available to a phone only from 1:00pm – 3:00pm Mon-Thursday Pacific Time at 360-748-4590. The machine shop is run by Jim, doing the R&D, all of the fixture making, as well as a lot of the set up & machining. Scott is the full time machinist / shop foreman is assisting them in production with several years of experience with the firm, as well as two other machinists. Jim grew up in a gunshop, making his first gunstock for a German 22 single shot, from scratch at the age of 12. He later did all the R&D and prototype work on the working model of Kimber’s Model 89 Big Game Rifle, & did all the metalwork their first 5 working guns. He is a member of the American Custom Gunmakers Guild & held a seat on their board of directors until spring of 2004. He along with 2 other craftsmen have produced the 2006 guild gun of the year, being a Winchester pre 64 model 70 in 30-06 caliber in recognition of the 100th year of the 30-06. Our sales office is open from 9am to 3pm Mon. thru Thur., Pacific Time, except all major holidays and Nov 25-Dec 1 & Dec 23-Jan 5, for vacations, inventory, & yearend computer work. The office and shop both are computer equipped to be better able to track the inventory. Many of the parts we manufacture are at times a better product than the original factory part. This comes about because of newer & better machining capabilities & the fact that we can many times re-engineer around known defects that have occurred in the original parts. Examples are the Weatherby XXII 22 semi-auto late style magazine latch. The original was a stamped out part. It however developed stress & cracked in some of the many bends. Our part is machined from a solid bar stock of a hard enough material that it does not need to be heat-treated. Another is the extractor ring for the Winchester pre 64 model 70. The original was made from a stamped out bent sheet metal. After much use and abuse the lips could get deformed to where it would not hold the extractor securely. Our part is CNC machined from a sold bar stock to a closer tolerance. Our latest is a replacement loading platform for the Remington 580. The factory part was made of plastic in which was inserted the metal stamped ejector, all held together by a sheet metal screw in a hole in the bottom of the receiver. Our new part is a combination of the 2 parts all machined from one piece of metal. Some of the original parts were “sintered” which meant that fine metal powder was highly compressed in a mould & then heat-treated to form a precise “finished” part. It however had no “grain strength” so it can then be subject to breakage if stressed. We have re-engineered many of these parts to be made to handle stress better. We have redeveloped the process of making “Vee” springs much the same way they were originally over 100 years ago, only by using newer machinery & heat-treating processes. The factories do not supply any blueprints for any of their parts. I suppose the main reason is for product liability reasons, but also that many of the old factories are no longer in existence, or the records are lost by fire or otherwise. Therefore, our part dimensions are taken from original parts from torn down sample guns. Occasionally we find that on some of the OLD guns that there is a surprise, in that an early gun’s internal design was changed & since sketchy or no illustrated list exist, we find a gun part that is not what we suspected. We do try to get more than one original part to check tolerances before be startup. Since this would involve a LARGE collection of firearms, we sometimes borrow guns from friends or collectors & have been known to purchase many sample parts off eBay. Late September 2003 we were informed by the original Winchester vendor of the Winchester 88/100 magazines that since they were in large government contracts, the lead time to stamp out more of our magazines would be about 11 months. This not being practical for us, we have taken actual possession of the tooling & are now having these magazines blanked out, formed & spot welded in Portland Oregon, with the first product coming to us mid January 2004. This also allows us to work more closely with the vendor. We then do the final machining, black oxiding & final assembly in house. We have improved these magazines in that we have changed the steel to a slightly harder grade, while still being soft enough to be formed, making the magazines less likely to be deformed or damaged. When we make a new run of parts, most of the time, we try to make enough for a several year supply. Thank you for showing interest in our product, we hope that we can be of some help. 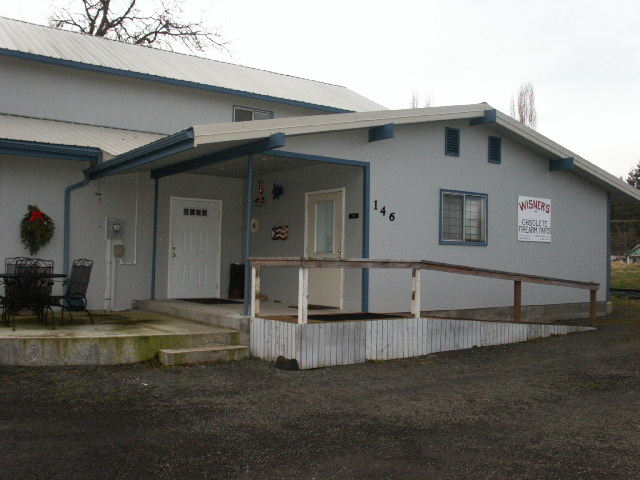 Wisner’s Inc is located at PO Box 58, Adna, Washington, 98522 USA. We can be reached at our e-mail address by clicking here.